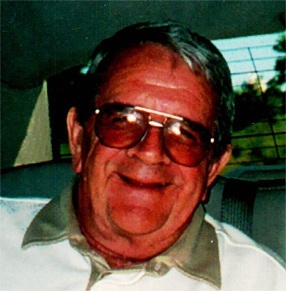 Bernard Dorvin “Bernie” Raether, 86, of Carmi, Illinois, died Saturday, March 16, 2019, at Wabash Christian Village in Carmi. He was born October 17, 1932, in Ludington, Wisconsin, the son of Bernard H. and Dorothy Edith (Bellinger) Raether. He was married to Thelma Joyce (Proctor) Raether on December 5, 1964, and she survives. Bernie and his wife moved to Carmi in the year 2000 from Roscoe, Illinois. He was retired from Warner-Lambert Company where he worked as a millwright. He was a United States Army veteran and served during the Korean War, and he was a member of the Northside Baptist Church in Grayville, Illinois. Survivors include his wife, Thelma Joyce Raether of Carmi; step-sons Thomas (Kathy) Cagle of Burlington, Iowa, James Cagle of Roscoe, Illinois, Kevin Cagle of Indianapolis, Indiana; brother Rodney Raether of Ventura, California; sisters Barbara Raether of Augusta, Wisconsin, and Ione Lone of Ludington; seven grandchildren; and four great grandchildren. He is preceded in death by his parents; sister Alice Raether; and step daughter-in-law Shelia Cagle. Visitation and funeral are Friday, March 22, 2019, at Cook Funeral Chapel in Grayville. Visitation is 11 am to 1 pm, and funeral is at 1 pm. Burial with military rites will be in Oak Grove Cemetery in Grayville.